These pencils deliver the long-lasting color you’ve been looking for, and have built-in sharpeners so they are always ready when you are. 20% off with code IPSY20 until 2/29/16. My thoughts: I love this brand’s humor. I mean, their website name is the balm dot com! And the names of their products are all humorous and cute as well. 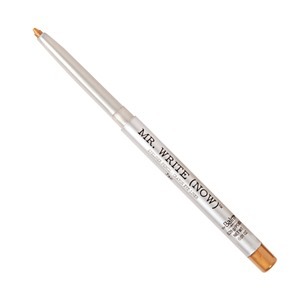 As for this eyeliner, well other than the fact that the tip broke off as soon as I started using it and that I haven’t found the built in sharpener (maybe they just mean that when you turn it, the tip comes out? ), I liked it. I like the color and how it goes on. This indulgent body cream contains Vitamin E, shea & cocoa butter and organic English honey to soften, nourish and protect your skin. It rubs in and absorbs easily, without the stickiness. 20% off with code IPSY24 until 2/29/16. My thoughts: I’m really not into lotions or scents, but this does have a nice smell to it. 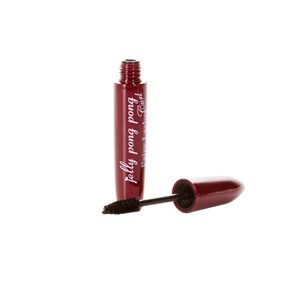 Fairy Lashes CURL is a sculpting mascara that continually curls lashes throughout the day with a unique synthesis of Moringa Seed resin that holds the curl of lashes for long-lasting results. My thoughts: I have a lot of mascaras that I rarely use. I want to use them more often though! I’m not sure if this one is any different from the many others that I have. Wake up your eyes and minimize the appearance of fine lines in an instant with this super light firming gel. Open Your Eyes is designed to reduce puffiness, hydrate and tighten the skin around the eyes upon application for a visibly lifted effect. 20% off with code HoneyIpsy until 2/29/16. My thoughts: This is my third product from this brand and the others I have liked, but I’m not sure what the point of this one is! I was nervous it would be sticky, but it isn’t. 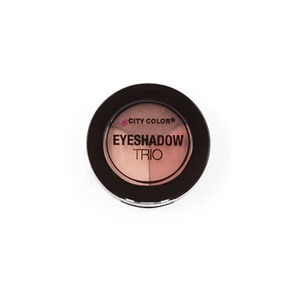 City Color Eyeshadow Trio features three complimentary shades in one travel-friendly palette. Trio includes neutral shades in matte burnt orange, metallic bronze and champagne highlight. 50% off with code IPSY50 until 2/29/16. My thoughts: I didn’t think I’d like these colors, but I really do! The bronze is my favorite. Once again, I pay $10 a month for these bags. I love seeing what comes my way each month! The value received this month was $68.62. This month’s value is even higher than last month’s, and last month’s was much higher than other previous months! 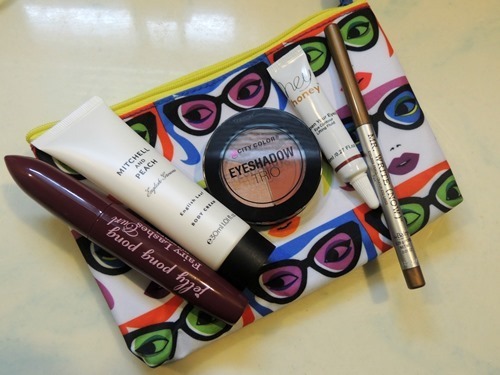 I liked that this month’s products all followed the eye theme. My favorite item is the eye shadow.